Author, Writing Coach, Meditation Guide and Motivational Speaker. 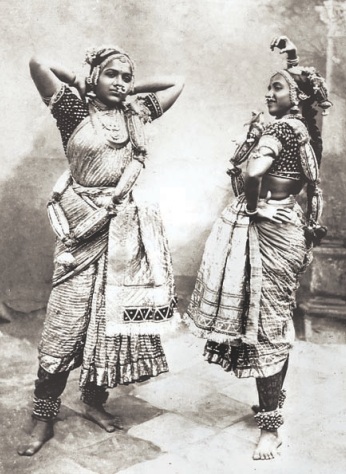 The practice of dedicating young girls to temples was prevalent in many parts of India but in the deep south, the Chola kings by their patronage to the arts elevated the status of mere Devadasis to that of Rajadasis or royal courtesans. 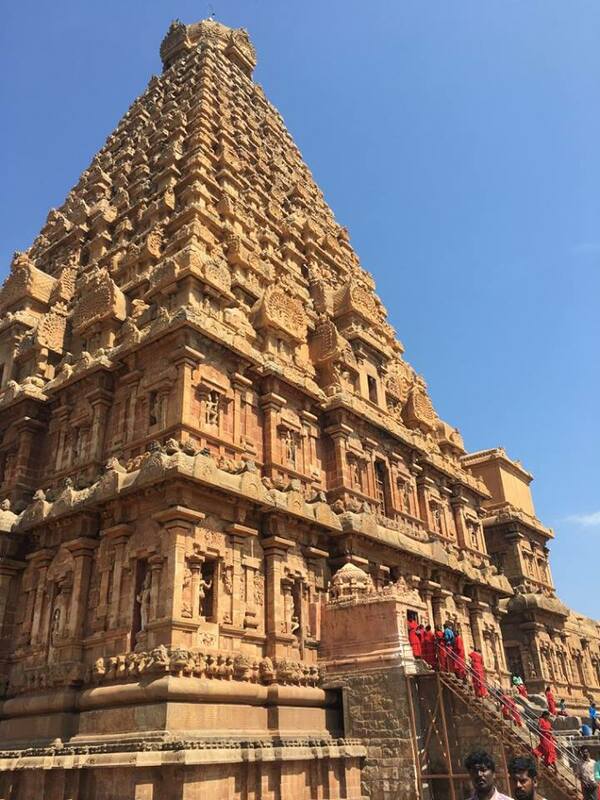 Rajaraja Chola I is supposed to have recruited around four hundred dancing girls from all the temples of the Chola country to be employed at Brihadeeshwara temple in Thanjavur. Devadasis were called ‘devaradiyal’ or ‘servants of God’, which was corrupted to ‘thevadiyal,’ a derogatory term still in use. Eventually, devadasi was a Sanskritized version of Devaradiyal. Devadasis were not typically Brahmin but could have patrons from the upper classes. Most often they were mainly dancers who would have one or maybe two patrons in their lifetime, some girls born as Devadasis others offered to the temple fulfilling some sacred vow. The beautiful learned dance and music and the less endowed unfortunates, were relegated to various tasks connected with the temple. The initiation ceremony of the devadasi began with the pottukattu (tying of the sacred thali or thread round the neck as in a conventional marriage ceremony). Following this the devaradiyal was officially married to the deity and considered a Nityasumangali (one who never suffers the curse of widowhood) and was specially sought after during marriages to bless the bride. Devadasis who enjoyed the patronage of the king and the temple were women of considerable wealth in the form of gold and landed property. The community was dominated by women under the supervision of the matriarch known as thaikkizhavi. Daughters were naturally preferred as they were an asset to the family. Devadasis were highly emancipated women and were treated with great respect. Some famous modern day Devadasis are M.S. Subbalakshmi, Balasaraswathy and Kishori Amonkar. But the advent of the British changed everything. With no royal patronage their status was reduced to that of mere prostitutes. For those who have never heard of or don’t know much about Devadasis, this book promises to be a real eye opener. In “A Rose for a dream,” I have introduced a new stream about Devadasis. As usual most of my imagination is fired by my mother, who always told me really colorful stories about a Devadasi family that lived very near her growing up in Thanjavur. The “Madam” was a good friend of her grandfather Swaminathan, who used to arrange police bandobast whenever there were big events like Pottukattu ceremonies or Arangetrams. Strangely enough, although traditionally brahmin women didn’t mix with Devadasis, her mother Rajam and aunt Kunju became friends with Koviladi Valamba. This is the origin of Koviladi Kamalamba and her niece Balamani. 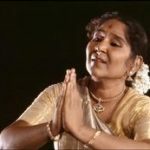 I n this excerpt, Balamani is preparing for her pottukattu ceremony and her Arangetram, but she longs to be free and live the life of a normal girl, to love and marry and have children. But more than anything, she longs to unravel the deep, dark secret of her birth. “I’m so tired of all this. I don’t want to do the pottukattu and I don’t want to have a patron.” Bala ranted, raising her voice in sheer frustration. “Shh,” Vasanti said, cradling Bala’s head in her lap and wiping the sweat off her neck and face with a soft towel. How could Bala forget? It was she that was assigned to wiping the blood off the floor after Muthu was done with teaching Vyjayanthi a lesson. It took more than six months for her wounds to heal before she looked normal. Even before Vyjayanthi’s psychological lesions healed, Amma had found a rich Mir?zd?r from Salem to visit her. The three girls slept together and were unfailingly woken up by Vyjayanthi’s nightmares and sobbing. No. There was no escape. Bala stared up at her with a blank expression and Vasanti knew she had made a mistake. Amma never liked to talk about it, but the gossip grapevine held no secrets. Obviously no one had said anything to Bala, and she was not about to be the first. If Amma wished, she would reveal the story. “What happened to my mother? Tell me.” Bala pleaded. “Why can’t you tell me? I know you are hiding something. I want to know her story.” Bala pouted angrily, annoyed at being treated like a child and kept in the dark. Bala sat up and stared vacantly across the room. She sat down in front of the large wooden carved mirror and looked at herself. A few stray locks had escaped from the tight bun and framed her heart shaped face. She leaned forward and admired her grey, doe shaped eyes with naturally curled lashes. Then she ran her fingers along her long arched eyebrows and down her pert and slightly hooked nose until they outlined her full lips and pointed chin. In the glow from the candles, her skin shone like polished ivory. She was beautiful. She turned around and looked at Vasanti. “What do you do at night with the patrons? Do you dance for them?” she asked innocently. Vasanti dropped her shaking head into the palms of her hands. No one had told this poor child what her destiny was. In what words could she explain to a twelve-year-old what her main occupation would be for the rest of her youth? © 2015 Kanchibooks. All Rights Reserved.